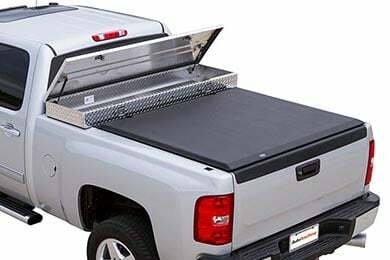 Read 300 customer reviews about Toolbox Tonneau Covers that have an average rating of 4.5 to find out what product is best for your vehicle. I have been driving pickups for over 20 years, and have always left the pickup bed open. I've dealt with shoveling snow out of the bed, covering valuables with plastic, and having things unexpectedly blow out on the highway. 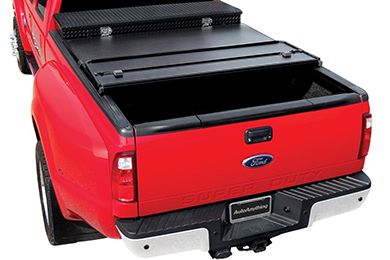 Now with the BAKFLIP VP Tonneau Cover everything I place in my pickup bed will stay dry and secure. 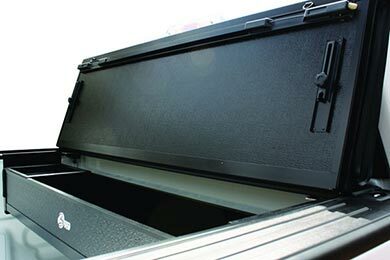 It has turned my Silverado 1500 crew cab into a full sized car with a huge versatile trunk. Was impressed how easy and fast it installed, very good workmanship. The tool box is neat. I have already needed the little extra room and simply folded tool box up, and it was out of the way. Would highly recommend. Solid product with simple design, excellent functionality, and ease of installation. 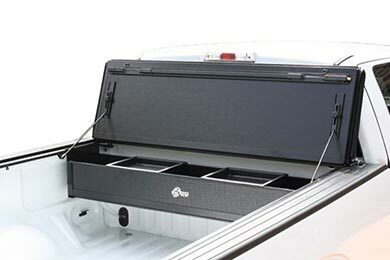 However, if butting up against a diamond-plated toolbox, water still (minimally) leaks through to bed. The seal does not entirely close the tiny gaps created by the diamond plates. Owner has to get creative and use whatever additional sealing material to prevent water from getting through to bed. I really appreciate being able to have a tonneau cover and a toolbox. The installation was straight forward and required that I adjust the toolbox, but that was no problem. 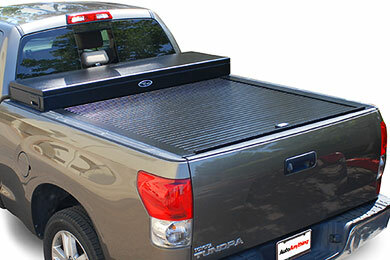 My truck has the diamond plate aluminum bed rail covers and I will be changing them to the smooth covers for a better seal with the cover hardware. Overall, I'm very happy with this product. Reference # 752-606-741 © 2000-2019 AutoAnything, Inc.